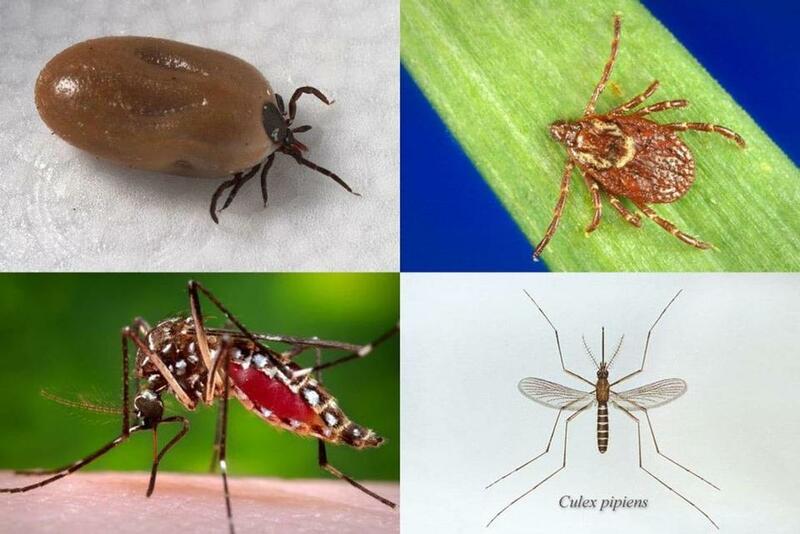 Clockwise from top left: The deer tick, which transmits Lyme disease; the American dog tick, which transmits Rocky Mountain spotted fever and tularemia; the Culex pipiens mosquito, which transmits West Nile virus; and the Aedes aegypti mosquito, which transmits Zika, dengue, and chikungunya. 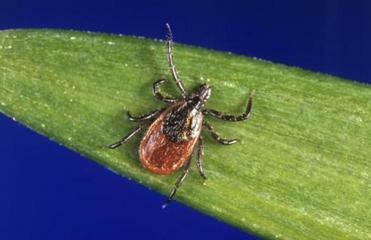 The warmer weather of spring and summer means the start of tick and mosquito season and the diseases they transmit, including Lyme disease, Rocky Mountain spotted fever, West Nile, and Zika. A new report from the Centers for Disease Control and Prevention has found that illnesses from mosquito, tick, and flea bites more than tripled in the United States from 2004 to 2016. The report, released Tuesday, shows that the number of reported cases of these diseases jumped from 27,388 cases in 2004 to more than 96,000 cases in 2016. The data include illnesses reported in the US states and territories. During that period, a total of more than 640,000 cases of these diseases were reported to the CDC. Officials say the actual number of people who have become sick is much higher, in part because many infections are not reported or recognized. Some patients may experience mild symptoms and not seek medical attention, and not all diseases were reported for the full 13-year analysis period or from all states and territories. The data ‘‘substantially underestimate disease occurrence,’’ the report said. The increase in disease cases caused by the bite of an infected mosquito, tick, or flea in the United States is most likely the result of many factors. Mosquitoes and ticks and the germs they spread are increasing in number and moving into new areas. As a result, more people are at risk for infection. Overseas travel and commerce are also increasingly common, and someone infected with a mosquito-borne disease like Zika in one country can unknowingly transport it home. Environmental factors, such as rainfall and temperature, also affect the breeding and biting habits of these many different species. Most of the pathogens are transmitted to humans from animals, such as rodents or birds, ‘‘making them difficult or impossible to eliminate,’’ the report said. ‘‘The presence of vectors with proven or possible capacity to transmit a wide range of pathogens leaves the United States susceptible to outbreaks of exotic vector-borne diseases,’’ the report said. Tick-borne diseases account for more than 75 percent of the reports and occur throughout the continental United States, but are predominantly in the eastern part of the country and in areas along the Pacific Coast. Diseases spread by mosquitoes, such as dengue fever, chikungunya, and Zika viruses, were almost exclusively transmitted in Puerto Rico, American Samoa, and the US Virgin Islands. West Nile virus, also spread by mosquitoes, is widespread across the continental United States where it is the major mosquito-borne disease. ‘‘The pace of emergence of new or obscure vector-borne pathogens through introduction or belated recognition appears to be increasing,’’ the report said. They include two previously unknown, life-threatening tick-borne viruses — Heartland and Bourbon — that were reported from the Midwest, and the chikungunya and Zika viruses transmitted by mosquitoes that were introduced to Puerto Rico in 2014 and 2015. In the United States, there was limited local spread of dengue and Zika viruses in Florida and Texas.